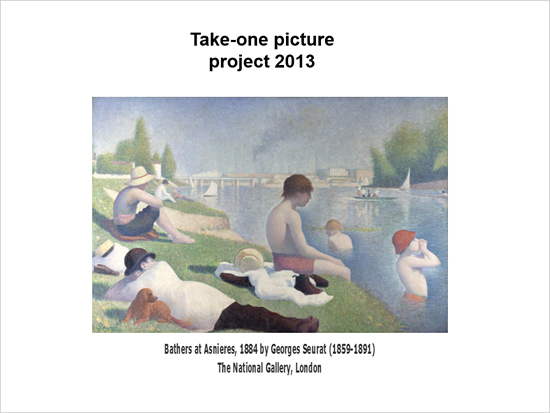 Every year our whole school takes part in Take One Picture, a national initiative organised by the National Gallery. The picture selected for that year's scheme is used across all year groups and all subjects for a whole week, with each class producing work inspired by their exploration of the picture and it's themes. You can watch a short film about how we use Take One Picture as the basis for our Creativity Week, which was made by Kingsmead Primary and is featured on the National Gallery's Take One Picture website, by clicking here. A better quality version of the film is also featured on the Hackney Teaching Schools' Alliance website - click here). Click on the image below to see some of the work created by Kingsmead School for 2017's Take One Picture, which was based on the painting Penelope with the Suitors. 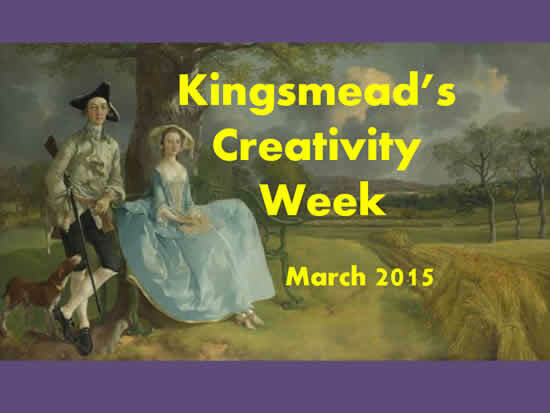 Click on the image below to view the Mr and Mrs Andrews work created by Kingsmead School for the 2015 Take One Picture. You can also see a short film about our 2015 Creativity Week on the Hackney Teaching Schools' Alliance website, by clicking here. 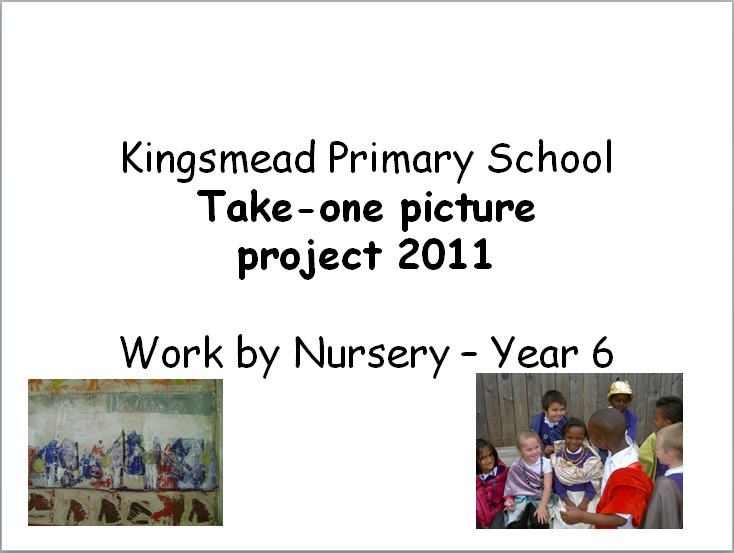 Click on the image below to view the Tobias and the Angel work created by Kingsmead School for the 2010 Take One Picture. The above file requires Microsoft PowerPoint to view it. If you dont have PowerPoint installed click here to download a free viewer from Microsoft .